UFI, the Global Association of the Exhibition Industry, is launching the 2019 UFI Awards. Organisers, venue operators, and service providers are all encouraged to take part and share their best practice cases for five separate categories: HR Management, Digital Innovation, Marketing, Operations & Services, and Sustainable Development. “UFI’s award scheme is focused on identifying and sharing best practices in our industry, and highlighting forward-looking, innovative solutions. Sharing experiences in this way strengthens our industry and helps us to develop new ideas. 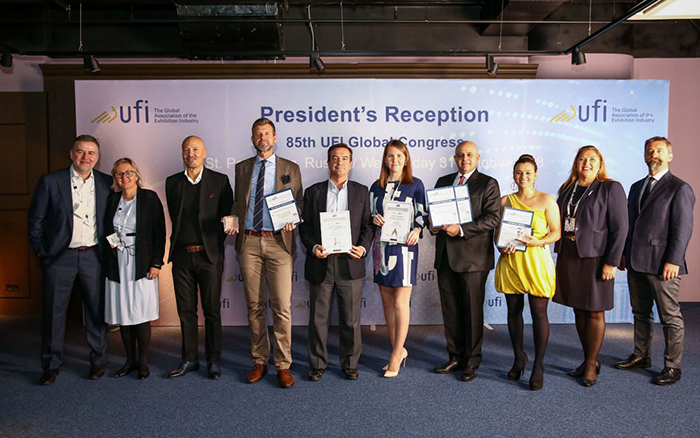 Presented at the UFI Congress, the UFI Awards are a globally sought-after recognition, and everybody in the industry benefits from the shared knowledge,” says Kai Hattendorf, UFI’s Managing Director and CEO. UFI Awards are open to both UFI members and non-members. Participation is free of charge for members. For more information, please visit the UFI website.